At the next CharityComms conference I’ll be sharing principles for building new customer relationships that stand the test of time, brought to life by RNIB’s first integrated campaign ‘I am here’. Most charities want to protect their market share and grow. But many also have databases of predominantly female aging donors, “Dorothy Donor” as she is often called. That means there is a need to reach out and engage with new audiences. So before planning any brand development or acquisition campaign you need to know what audience segments you currently have, and who you want to reach out to. This can be done by analysing your existing databases and through researching new audience segments, including not just their age, geography and socio-demographics but their feelings and attitudes towards your cause. Once you know which audience segments you’re targeting, and understand their attitudes towards you, you can turn your attention to the aspect of your work that will inspire them to care and engage. For RNIB this involved identifying a ‘core focus’ that would work to unite the whole organisation and engage new audiences. Strong brands are famous for doing one thing well, but this can be hard to achieve if you’re a charity that does many things. We created a range of hypotheses around the key pillars of their corporate strategy; each one explores different personalities, from caring to campaigning. The hypotheses were then researched with the key ‘existing’ and ‘future’ audience segments. There is no point investing in a campaign and media if your brand isn’t going to make the desired emotional impact. Brand management today is a dynamic process, and requires regular auditing of environments, platforms, devices, apps and formats where the brand is consumed. Having a panoramic view enables brand decision-makers to understand the forces that detract from, or will improve the brand experience and plan accordingly. So you know your audience, you’ve got the right hook and a brand fit for purpose. Now it’s time to plan your campaign, what the call to action is; how it can work for different parts of the organisation; and the right channel mix to reach people. 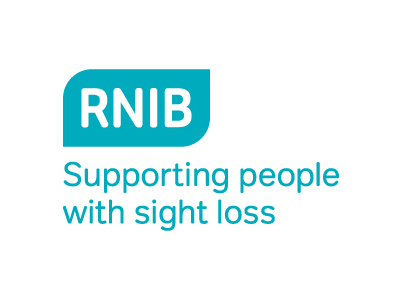 The RNIB campaign unites the whole charity for the first time, communicating a unified message across departments and channels. There is no point on setting out to acquire a new audience unless you also have a customer journey in place to build their engagement, loyalty and value. That’s why RNIB mapped out and implemented new customer journeys across all their departments, with links from services into fundraising and visa-versa. While many charities still operate in silos, we believe this project demonstrates the power individual departments can harness when they come together. RNIB proves that an organisation’s brand story can serve every department and ultimately help to deliver new audiences for growth. To hear the full story of the ‘I am here’ campaign and learn how your audience’s common values can boost your supporters’ awareness and engagement book a place at our conference in July!